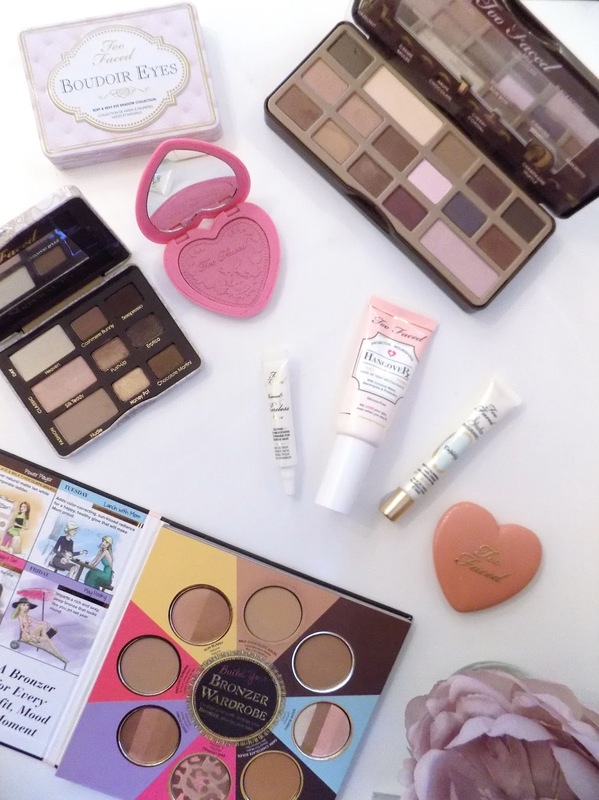 Too Faced is everywhere in the blogger world and I for one have definitely caught the bug. So I thought I would give you one of my classic introductions into the brand and the products I have tried. 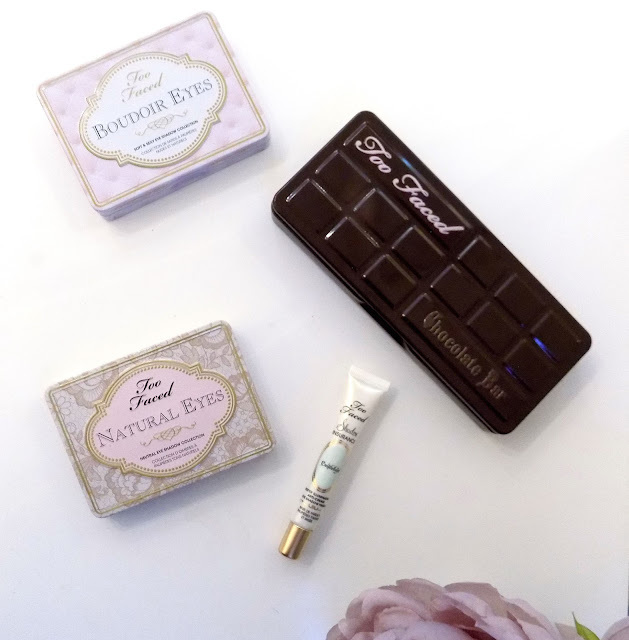 My first ever purchase from TF is the Natural Eyes Palette - £25, this is such a great neutral eyeshadow palette that can be used for both day and night looks. 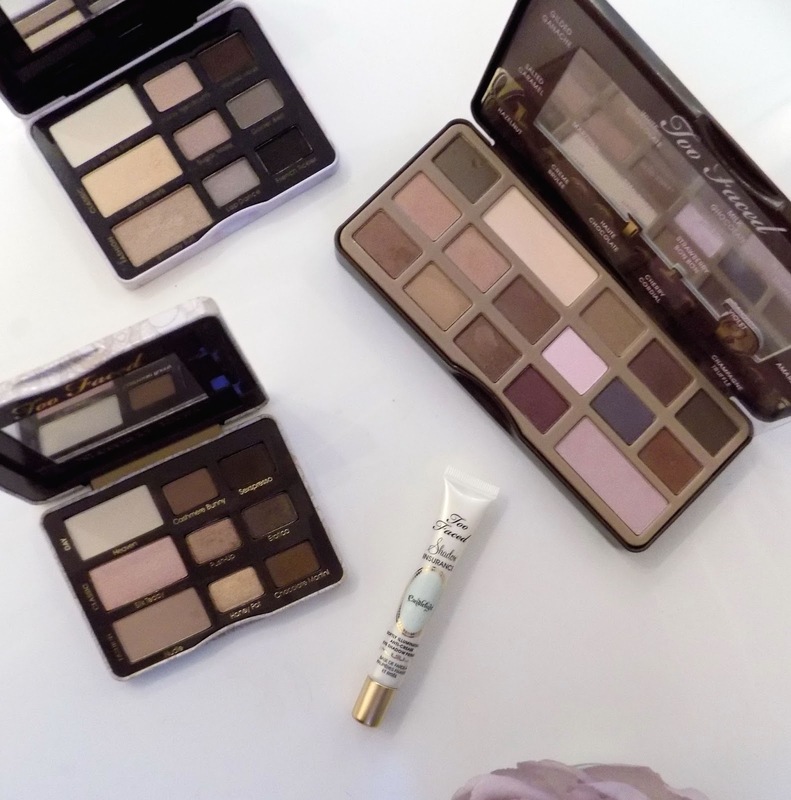 There's mattes, stunning shimmery shades and quite frankly I just love it. These are a more warmer bunch of shadows, where as the Boudoir Eyes Palette - £25, which is another of their classic tin eyeshadow palettes, is more cooler toned. The Chocolate Bar Palette - £34 was a massive release for Too Faced and for good reason. It's part of their chocolate scented range which just smells as delicious as it sounds. It's pigmented, the shade range is great, there's some real gems in there. To make sure these shadows stay in place and look there best, that's where the Shadow Insurance Candlelight - £14 comes in. I am all for a quick and simple eye look for everyday and this eye primer has a champagne gold glisten, which means I can throw this on in the morning and it stays in place all day. For a more nighttime appropriate look, simply throw a darker shadow in the crease and outer corner and some winged liner and look done. Plus, with this, there's no creasing or patchy-ness, always a great thing. Onto the cheeks and the A Little Book of Bronzers - £35 has been in my possession for a little while and my love for this continues to grow. Check out my Review if you want to see more of my thoughts and swatches. The Love Flush Blushes - £18 really caught my attention and I'm sure you can see why. These are 16 hour wear blushers that are fade-proof, smudge-proof and come in stunning shades. I have the shades Baby Love and Justify My Love. They're pigmented and so fricking adorable. Now for the complexion and I have a duo of primers, first is the Hangover RX Replenishing Primer - 22 which hydrates and brightens the skin for a healthy looking complexion. I have been loving this since it landed on my doorstep and I am sure you will see more of it here on IABT. 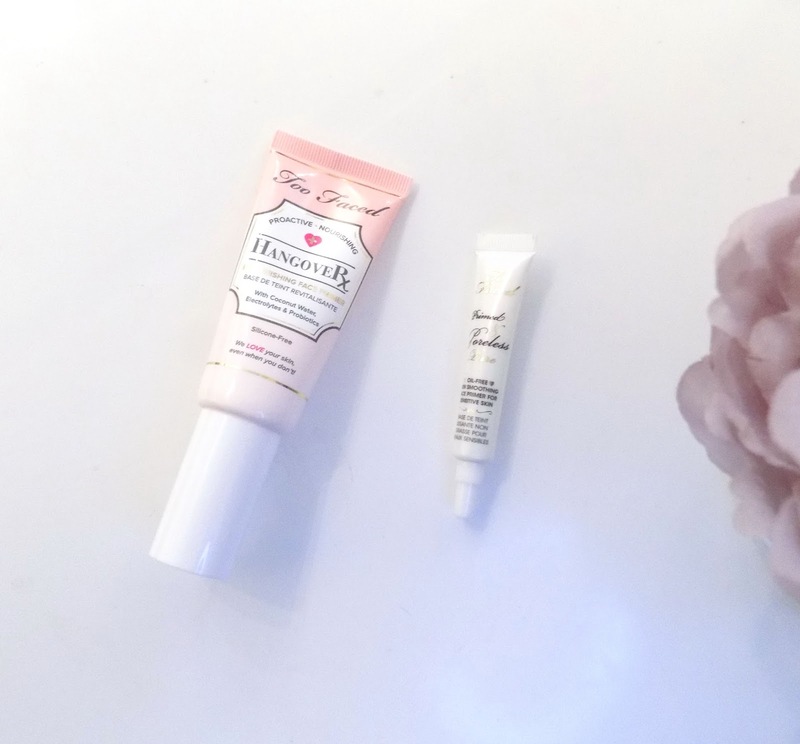 It's such a beautiful primer and keeps my skin soft and smooth. The other component to this primer duo is the Primed & Poreless Pure Primer - £21 which is an oil free, skin smoothing primer, which are my favourite kind of primers. It smooths out the skin, minimizes pores and blurs imperfections. Plus it's suitable for sensitive skin. There is also a regular version which is best for the more normal to dry skin types as it has vitamins and other ingredients to hydrate the skin. 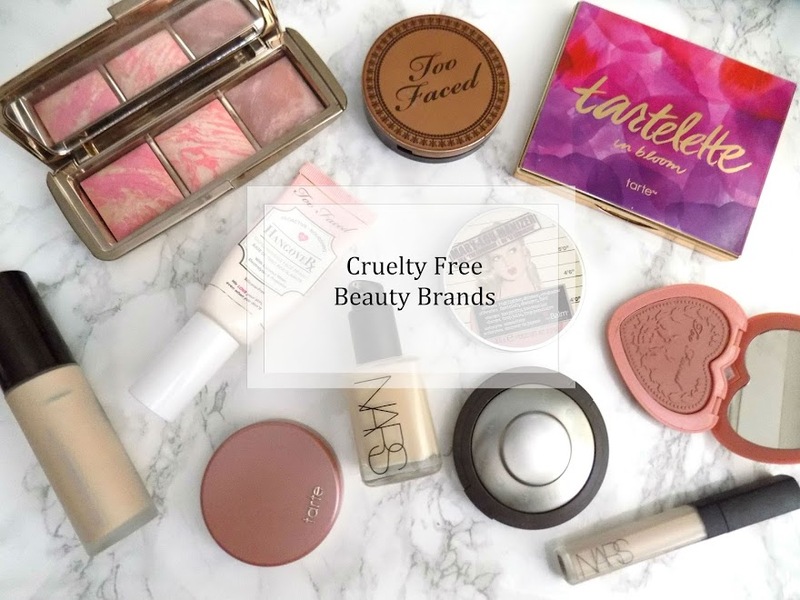 This array of products has given me a great introduction into the brand and I hope this gives you a few ideas as to what to pick up should you have the chance.